I haven’t posted a lot since Christmas, but I’ve been making minis. Mostly kits, as they are soothing after a hard day’s (week’s, month’s) work. As usual, click photos for larger pics. 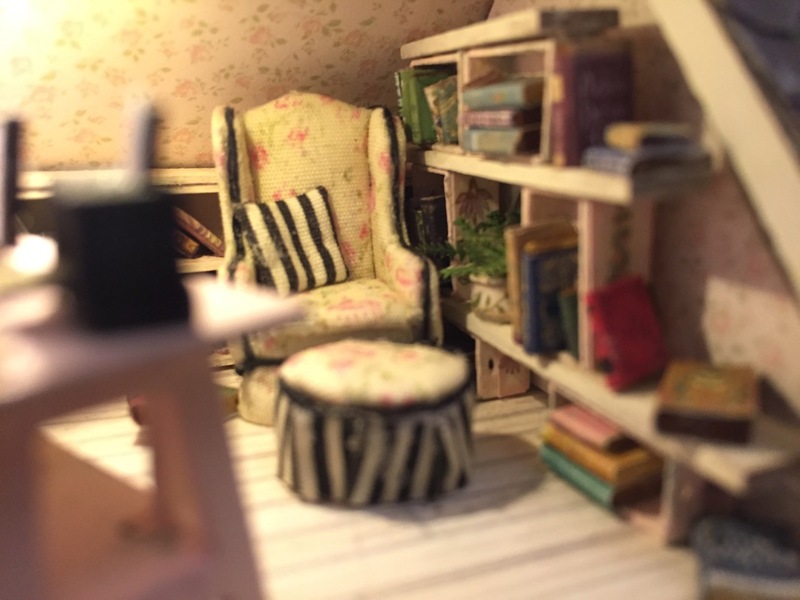 In the attic is the writing nook. 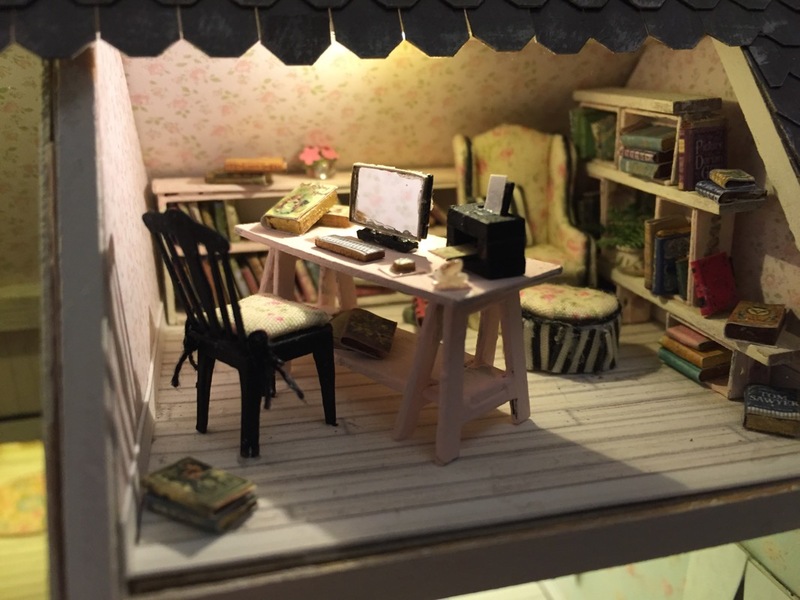 I am in awe of anyone who can design a 1/4″ scale computer and printer. I never would have thought of that! The kit makes about 162 individual books. 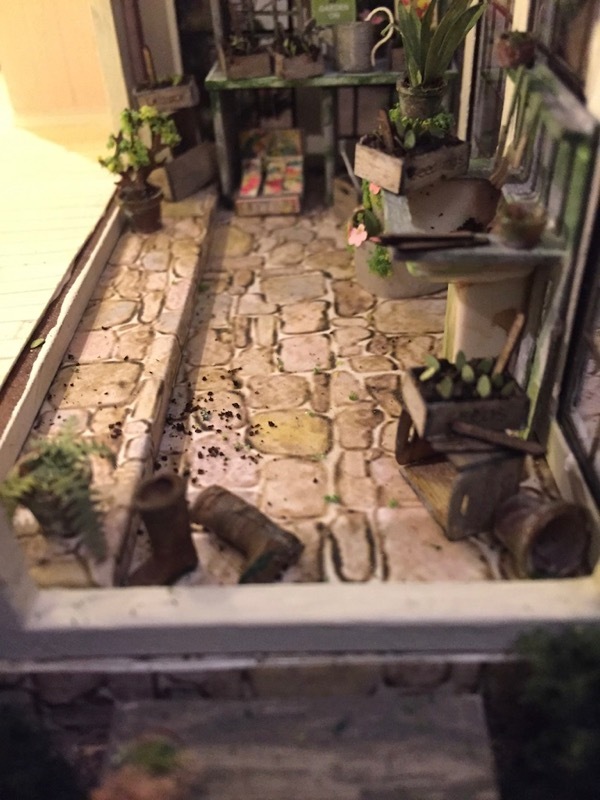 In 1/4″ scale. (Wow.) I have made about 90 of them. I’ll make the others when I can, and use them in other projects. 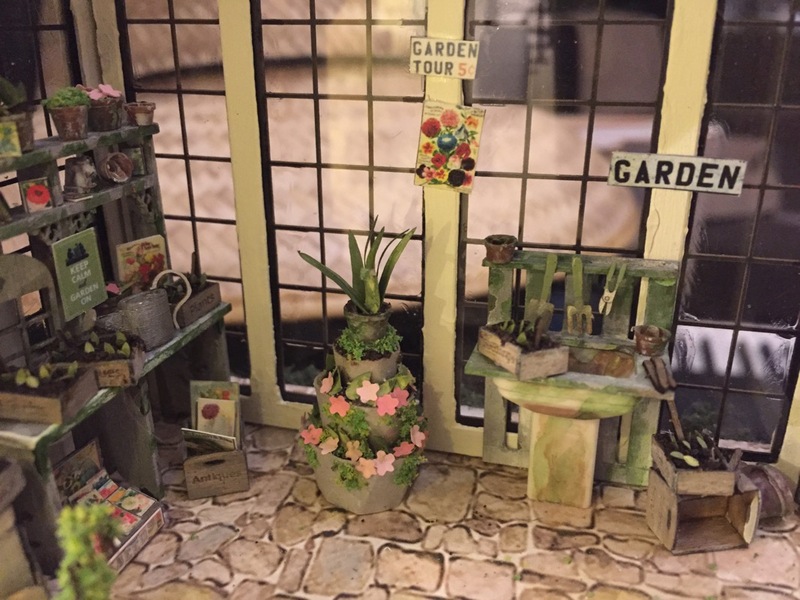 This is the conservatory kit: Potting benches, plants, plants, plants, pots, crates, etc. We even have some gardening boots! 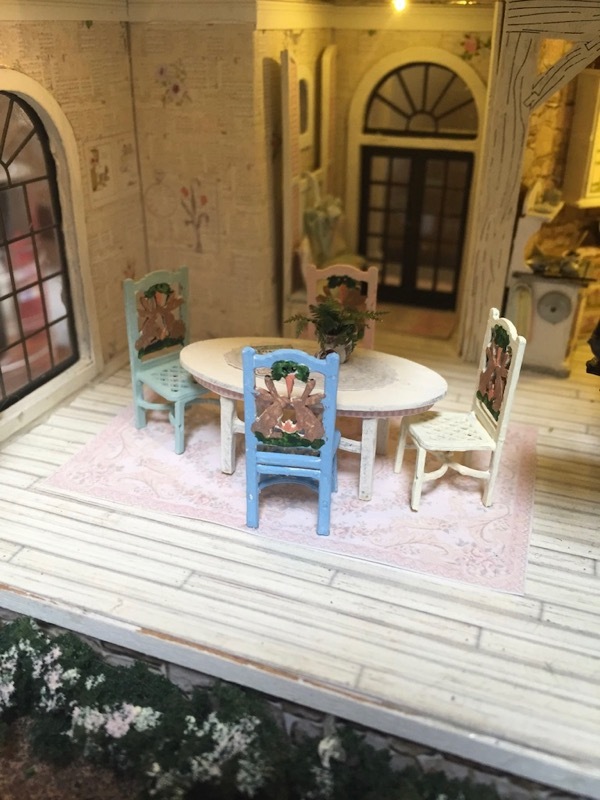 I had only planned to do the kits for the conservatory and writing nook (because I loved all the accessories), and then decided, what the heck. I’ll just do the kits for all the rooms. 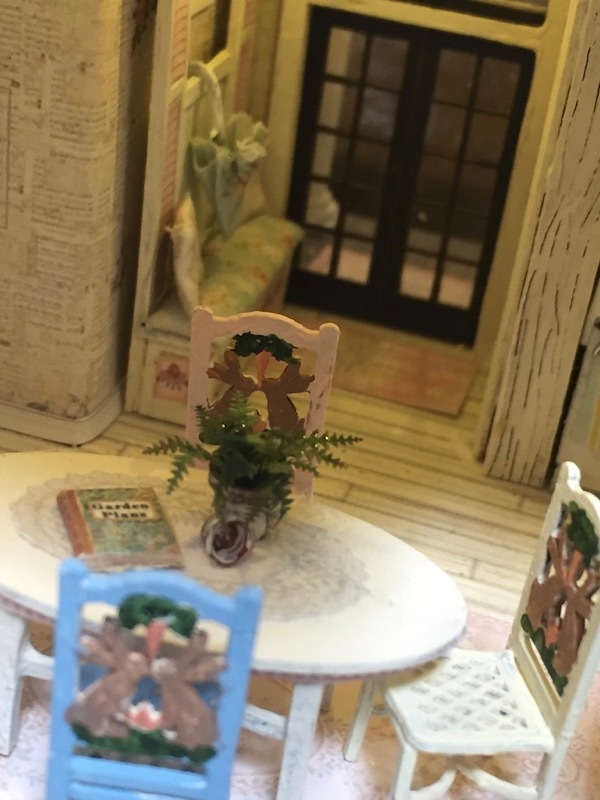 This is a Robin Betterley house and room kits (Link in my sidebar under quarter inch scale). 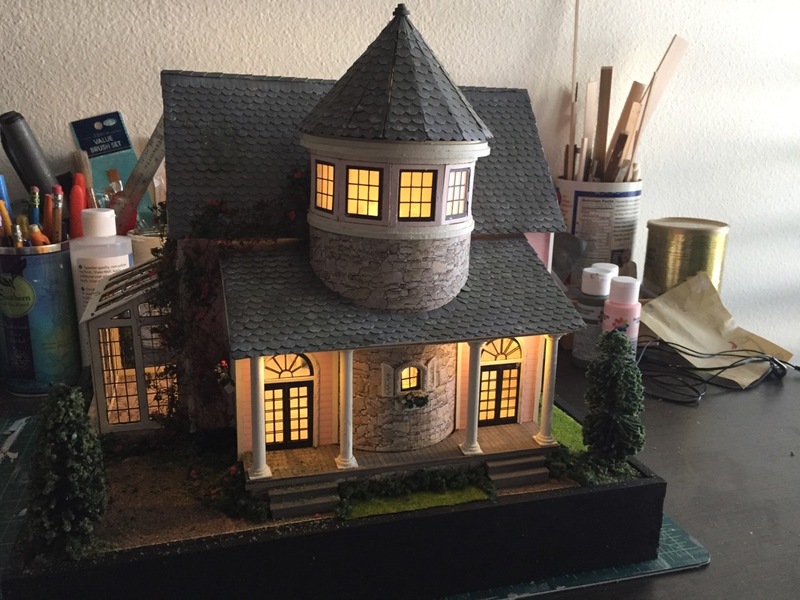 I am, though, getting the hankering to do another Greenleaf kit that’s sitting in a box in my closet (the Westville; so much smaller than the Beacon Hill!). I’ll see. I love the boots! I can’t imagine the amount of time, effort and patience it takes to make these houses. Gorgeous. How lovely! 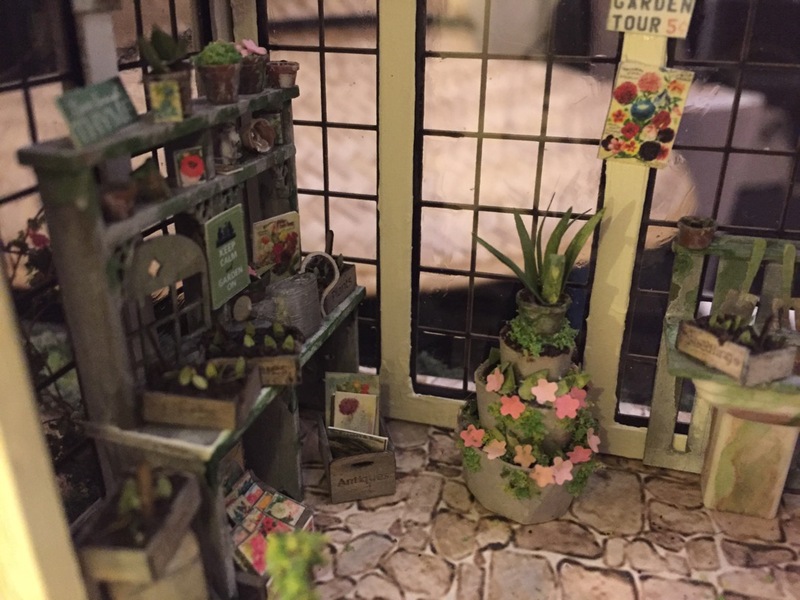 I’m all for a reading nook and for a potting conservatory and I love how you have finished both! The tiny computer screen, printer and books and the size of the plants would make me cross-eyed – but you have done a Fantastic job! I do admire your work, even more for the 1/4 scale. 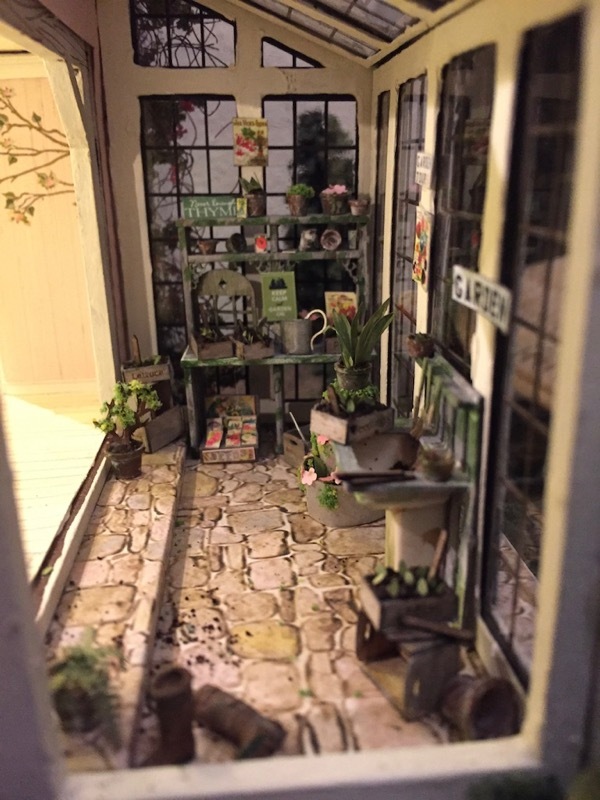 The Potting shed looks amazing, too. 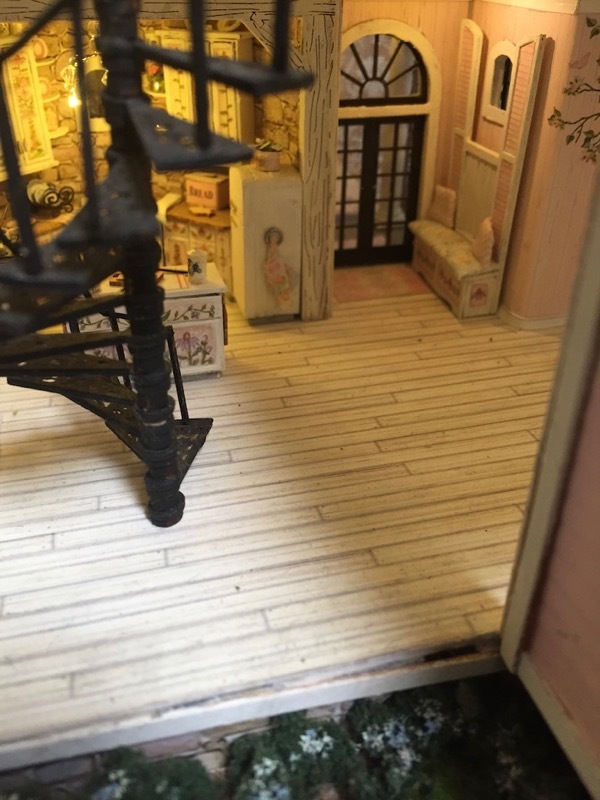 I have been working on half scale Betterley toys and I know that I would go crazy doing anything smaller, so that you are doing even smaller is most admirable and demonstrates your great ability. I bought the Westville at an antique store already assembled. I am thinking of a renovation and will enjoy watching you assemble yours. It is a cute house with nice sized rooms.